In response to this report and to achieve the goal five of United Nation’s Millennium Development Goals which seeks to improve maternal health by reducing maternal mortality by 75% in 2015 -- we all have to join together as One People, One Nation, who are United in Progress to reduce the increasing rate of avoidable maternal deaths in Nigeria. According to Ban Ki-moon, the United Nations Secretary General, "in the 21st century, no woman should give her life to give life" --indeed, this is a call to ACTION! and in response, if we all take a firm stance on this issue and do something about it, then , we are on our way to eradicating avoidable maternal deaths in Nigeria. As we make our own contributions towards establishing a Trust Fund to assist rural women with obstetrics care, we call on our beloved government to join hands with us to provide a free and efficient obstetrics care for our rural women. Many families are poor and cannot afford caesarean operation in time of pregnancy breach; having free obstetrics care will invariable save hundreds of rural women. Furthermore, having an emergency intervention unit, that can convey pregnant women with an ambulance or helicopter from rural areas to an obstetrics hospital in time of complication, indeed, is a sign of good and responsible governance. This is what the Sweet Mother International would wish to achieve in collaboration with the Nigerian and State government. 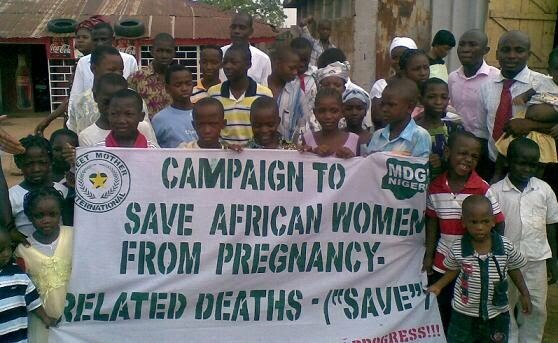 We applaud the responsiveness of the Nigerian government to our country's development, and we trust that in this very important issue concerning the welfare and survival of our mothers and sisters, our beloved government will swiftly respond, by joining the campaign to save Nigerian women from pregnancy related-deaths. You are also welcome to participate. Click here to read the objectives of "SAVE"
"SAVE" is a community project implemented by people with like minds; true heroes and genuine humanitarians determined to eradicate maternal mortality in Africa. 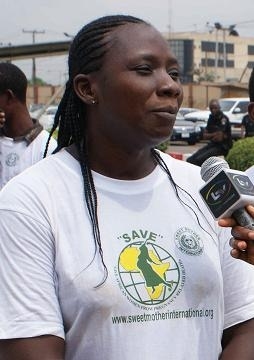 Ongoing success of the "SAVE" campaign project in Nigeria is achieved through dedication, sacrifice, self-motivation, genuine love for humanity, and a deep desire to save thousands of women in Nigeria from pregnancy related deaths. 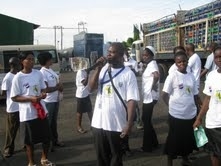 On this site, you will see the past, present and ongoing "SAVE" programs in Nigeria. Indeed, we hope that you will volunteer, support or sponsor this noble cause.